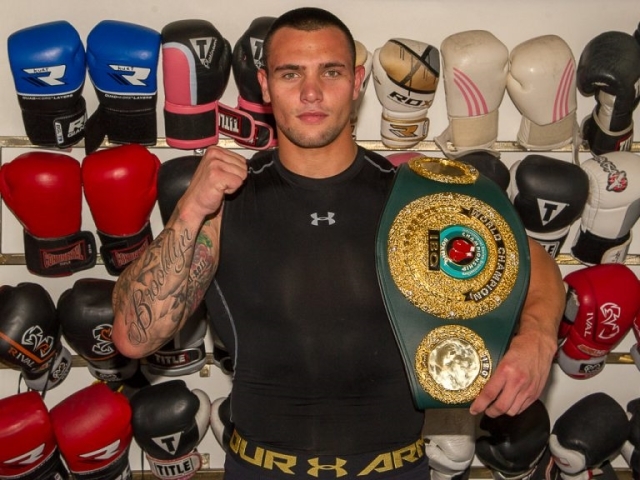 IBO cruiserweight world champion Kevin Lerena dropped Artur Mann three times before the fight was stopped in round four late Saturday night at the Emperors Palace in Kempton Park, South Africa. The southpaw Lerena was sharp from the opening bell, closing the distance and putting Mann, who is trained by Pedro Diaz, on the defensive. Lerena battered Mann in round two, dropping the Kazakh-born Mann with an uppercut to the chin. Mann recovered and tried to hold on, but was dropped a gain, this time by a barrage of punches to the head. A combination by Lerena stunned Mann with less than a minute left in round four. A sweeping left cross to the head moments later dropped Mann to the canvas, prompting referee Jean Robert Laine to stop the fight at 2:37. Lerena, who resides in nearby Johannesburg, improves to 22-1, 10 knockouts. He has won his last 11 bouts. Saturday night was Lerena’s first fight in over nine months, when he defeated fringe contender Roman Golovashchenko by decision on June 2. Weeks after the Golovashchenko fight, Lerena had surgery on his right shoulder, sidelining him for a couple of months. Promoter Rodney Berman believes Lerena, who is trained by Peter Smith, is a new fighter, one that can contend for a world title belt. Berman is targeting a June date for Lerena to return to the ring. With undisputed cruiserweight champion Oleksandr Usyk making a move up to heavyweight, German believes Lerena is ready for a world title opportunity. Lerena is currently ranked No. 11 by the WBA and the IBF. Mann, who now resides in Hannover, Germany and is promoted by Team Sauerland, falls to 15-1, 8 KOs. He is ranked No. 4 by the WBO. Junior middleweight Roarke Knapp (7-0-1, 6 KOs) of Johannesburg stopped Zimbabwe’s Thembani Mhlanga (2-4, 2 KOs) at 2:04 of the second round. In welterweight action, Gift Bholo pulled off an upset on paper by winning a majority decision over fringe contender Timo Schwarzkopf (19-3, 11 KOs). One judge scored the bout 57-57, while the other two judges scored the bout 59-55 and 58-56 for Bholo, who improves to 8-8, 4 KOs. Light heavyweight Frank Rodrigues defeated Michael Mackram (3-2, 3 KOs) by unanimous decision. Scores were 100-90, 98-92, and 96-94 for Rodrigues, who improves to 6-1, 4 KOs. Junior middleweight Boyd Allen (3-0, 3 KOs) stopped John Bobape (6-6, 6 KOs) in round 11.